So you haven’t heard of Sayulita? Well, it’s definitely worth checking out if you’re into fish tacos, surfing and chilled out beach bars. It’s not one of your big tourist towns like Cabo, Cancun or Puerto Vallarta and as a result it flies under the radar of mainstream tourism…for now. At the moment Sayulita remains the playground of backpackers, surfers and those who are “in-the-know”. This article can give you the basics on what to expect if you decide to make a visit. 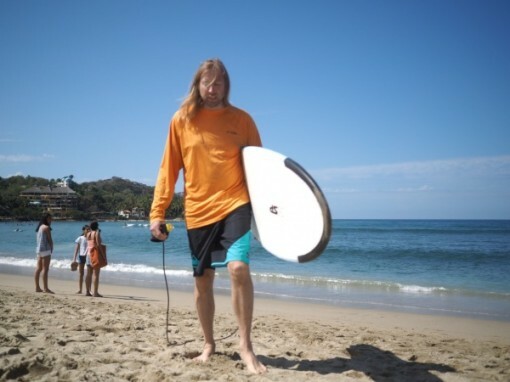 By far the biggest draw to Sayulita is the surf. Its great for begginers and experienced surfers as there are two sides to this beach break that luckily seem to cater to each category. 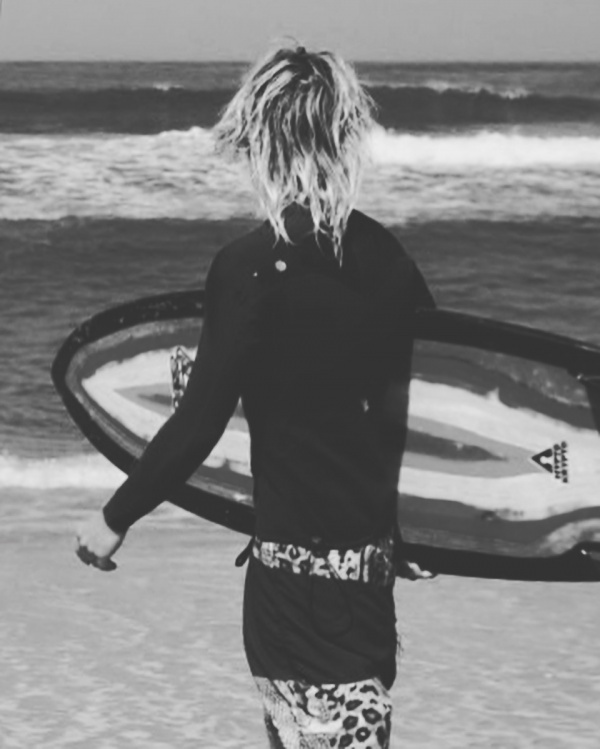 The waves break consistently from 1 to 5 feet depending on conditions. I chose to stay on the beginners side of the bay. Tired of surfing, drinking and laying on the beach? You can hire a deep sea fishing boat to take you fishing around the Marietas Islands for an afternoon. These usually cost a few hundred dollars (USD) to charter, but you can keep the fish if you want. Rather than deal with the hassle we just gave our five large fish to the village. Most fishing boats leave from Punta de Mita. If you are sick of the coastal life there are also a number of 4-wheel tours that can take you out to the nearby desert. These can all be booked from various travel agencies around Sayulita. The vast majority of people who arrive in Sayulita will fly into Puerto Vallarta. There are usually cheap flights into Puerto Vallarta International Airport (PVT). From here, you have about a 1 to 2 hour drive north along the coast. By far the best way to get to Sayulita is with your own transport. You can get a rental car at any number of places just arcoss from the airport in Puerto Vallarta. Rentals start at about $30 USD per day. Driving in this part of Mexico is pretty easy…not much traffic and similar to the States. There are a number of shuttle companies that offer regular transport from Puerto Vallarta to Sayulita. If you are a solo traveler or in a small group try jumping on one of these. The price might be comparable to a rental car but at least you don’t have to worry about accidents and parking. For a couple bucks you can take the public bus up to Sayulita. This option should be reserved for backpackers and folks on a budget. Slow but steady, it’ll get you there…eventually. Without question Sayulita is known for its fish tacos…and they are very good! Now, I’m in no way a “foodie” but coming from Los Angeles I have had my share of fish tacos and can say that I do approve. If thats not your thing or you’ve gotten tired of fish tacos for breakfast, lunch and dinner there are lots of other options available. Remember this is a backpacker spot so burgers, wraps, sandwiches, pasta, pizza and ice cream are all available. Yes, I know….Mexico is a scary place these days, or at least it was for a while there. But not to worry, Sayulita is a tourist town. Though it may not be up to the level of its neighbor Puerto Vallarta, its economy is still based on visitors coming into town to eat, drink and surf. You should be fine. BUT like anywhere in the world, check up-to-date local conditions before going. Sayulita has two seasons. A fairly warm, dry winter and a semi-humid, sometimes wet summer. So yeah, perfect for passing out on the beach all year round. Maybe try to pass out in a light jacket. 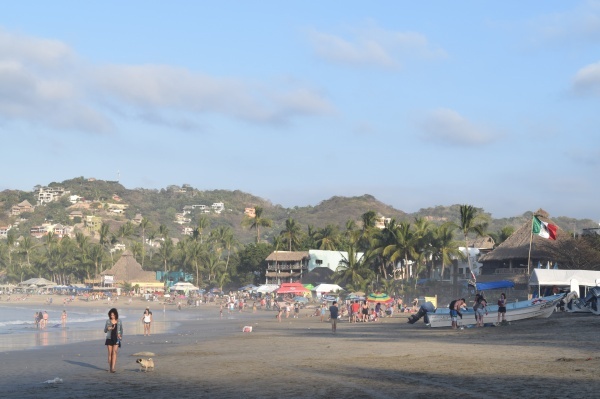 WHAT IS SAYULITA LIFE REALLY LIKE? I want to try and paint a picture for you. Try to imagine a small Mexican town that spreads out along the coast. The sandy beach stretches almost the full distance of the bay with surfing waves perfect for beginners and experts alike. Further back from the sand are a number of beach bars and restaurants while the hills over looking the water are covered with homes and hotels. The downtown area is packed full of restaurants and bars catering mostly to gringos looking to get drunk and fed after a long day of surfing. The important thing to remember is that this town is not big…its small…and gritty. Don’t expect the vibe of Puerto Vallarta here. Thats all folks…enjoy your Mexican vacation! !